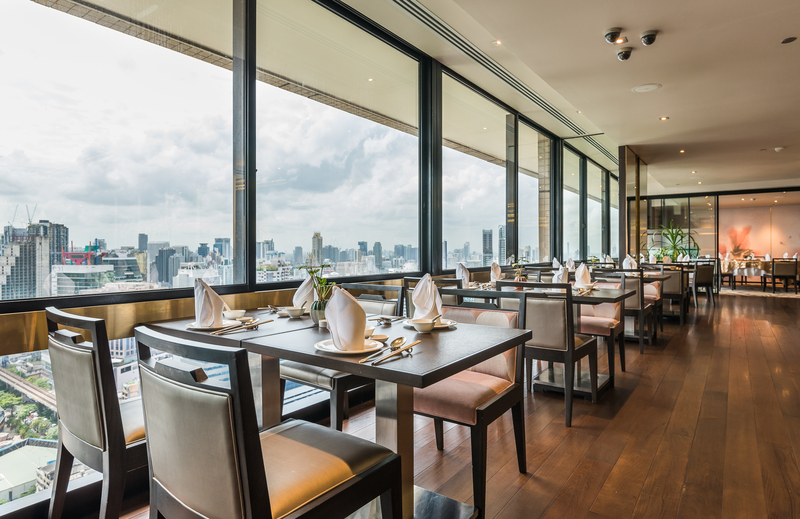 The world famous Sukhumvit Road is a mecca for foodies and with every type of restaurant under the sun available there really is something for everyone. The vast choice of dining opportunities can seem a bit daunting so here are some recommended eateries which will take you on a worldwide culinary adventure. The Emporia Restaurant in the Emporium Suites by Chatrium is one of the city’s dining hotspots, being located directly above the renowned Emporium luxury shopping mall and directly opposite Emporium’s sister mall the avant-garde EmQuartier, where diners can enjoy an impeccable meal complemented by the charming décor and stunning Bangkok views. The Emporia is quite simply the perfect spot for a perfect meal before or after shopping ‘til you drop below at the Emporium or at the EmQuartier which is quite literally across the road. The fresh Emporia buffet breakfast offers a wide choice of international and local fare with the highlight of the Emporia being its exquisite Cantonese fare and signature dishes including Hong Kong-style spring rolls, fish maw soup, Cantonese-style beef fillet, stir-fried lamb fillet with Taiwanese spring onions, stir-fried garoupa with Sichuan sauce, sautéed abalone with oyster sauce, traditional whole roasted suckling pig and the famous “The Emporia” Peking duck. The Emporia also serves all-you-can- eat homemade dim sum delights such as steamed fresh scallop dumplings, soft-shelled crab with chilli and salt and roasted crispy duck. Located on the EL floor. On the first floor of the Maitria Hotel Sukhumvit Soi 18 – A Chatrium Collection you’ll find the Coffee Club, an all-day breakfast and brunch café where apart from being the place to sip on an excellent hot or iced coffee you can settle down to a filling breakfast or gourmet meal with a wide selection of enticing comfort foods made with only top-grade ingredients. 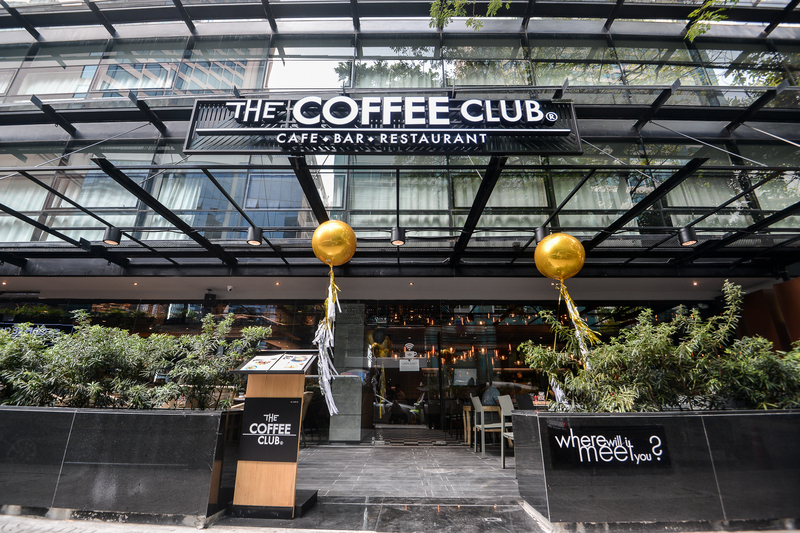 The atmosphere of the Coffee Club is entirely laid back with an inviting ambiance, chilled décor and full table service. Open every day from 6 a.m. to 10.30 p.m. on Sukhumvit Soi 18. 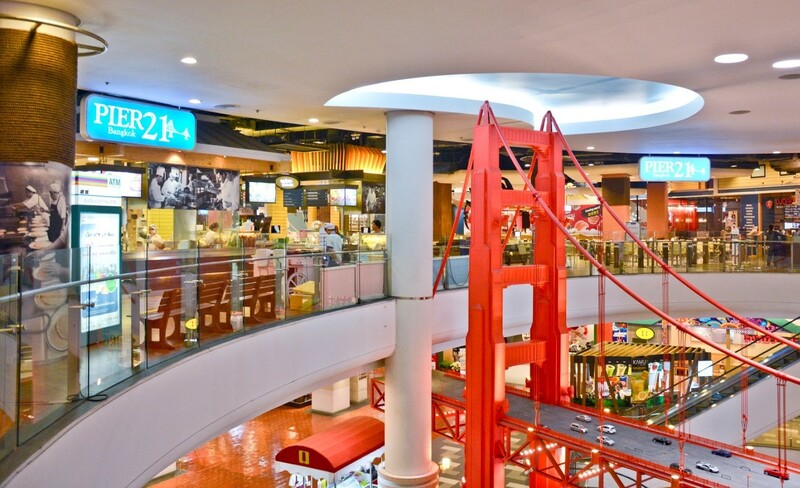 Pier 21, the massive food court at Terminal 21 mall, is one of the most popular food courts in the metropolis and rightly so. Designed to emulate the famous Fisherman’s Wharf in San Francisco food fans can chow down on a truly international choice of delicious local, Chinese, Indian and Western fare all freshly prepared from the many food booths scattered about before ( or after!) shopping till they drop. Open every day from 10 a.m. to 10 p.m. between Sukhumvit Soi 19 and 21.